But one thing is for sure: CBD benefits are incredible and we are on the path of cracking the code for many deadly diseases. For a complete guide to CBD oil, please click the link. In this article we are going to analyse why CBD oil is the answer for anxiety disorder, stress, depression and many other ailments. While we don’t normally think of anxiety as desirable, it’s actually a critical adaptive response that can help us cope with threats to our (or a loved one’s) safety and welfare. These responses help us recognise and avert potential threats; they can also help motivate us to take action to better our situation (work harder, pay bills, improve relationships, etc.). However, when we don’t manage these natural responses effectively, they can become maladaptive and impact our work and relationships. This can lead to clinically diagnosable anxiety-related disorders. We’ve all heard the saying, “stress kills.” It’s true! Anxiety-related disorders affect a huge segment of our population—40 million adults (18%) in the United States age 18 and older. In response, Big Pharma has developed numerous drugs to treat anxiety-related disorders, from selective serotonin reuptake inhibitors (SSRIs) like Prozac and Zoloft to tranquillisers (the most popular class being benzodiazepines such as Valium and Xanax). While these drugs can be effective for many patients, some don’t respond favourably. Certain patients don’t see much improvement, or they can’t tolerate the side effects. Moreover, tranquillisers like Valium and Xanax can be highly addictive. Clearly, alternative treatments are warranted. Could cannabidiol (CBD), the most prominent non-intoxicating constituent in cannabis, provide a viable alternative for currently available anxiety medications? Quite possibly! Brazilian researchers conducted a small double-blind study of patients afflicted with generalised social anxiety. After consuming CBD, participants reported a significant decrease in anxiety. Researchers validated patients’ subjective reports by performing brain scans showing cerebral blood flow patterns consistent with an anti-anxiety effect. Evidence from animal studies have begun to characterise the details of how CBD acts in the brain, and human studies of patients with and without anxiety disorders are starting to validate CBD’s efficacy as an anti-anxiety treatment. Given the huge social and financial costs of anxiety disorders in the U.S., CBD has the potential to play a significant role in treating a myriad of anxiety-related disorders. While more research, including large randomised-control trials (RCT’s), is clearly warranted to examine the long-term effects and potential for CBD, its demonstrated efficacy and highly favourable safety profile (particularly when compared to currently available drugs) make it a viable alternative or adjunct to currently available pharmaceuticals. 2010 – In 2010 Lauretta had surgery to remove the thyroid glands and 2 months in, during the home recovery the panic attacks started. She could not talk to anyone, could not go outside her home and generally suffering 10 – 15 panic attacks per day. This is widely accepted as social phobia. Lauretta wanted to emphasise that the “social phobia” did not happen before the surgery. Also after surgery she suffered a calcium deficiency which was causing muscular and joint pain in her hips and in her knees. Eight months after the surgery, still suffering, Lauretta sought professional counselling which did not help whatsoever and ending up with more depression. The councillor advised psychiatric help which once visited diagnosed anxiety and depression disorders. Their answer was Valium and Benzodiazepine which completely masked the anxiety and when she gradually stopped taking them made her worse. The downsides to taking these drugs were weight increase, passionless and the inability to feel love for herself and others. 2012 – Lauretta then tried more counselling while only continuing the tranquillisers when needed. This again did not help. She still to this day as we create this article in April 2018 has this drug with her in case of emergencies. 2013 – She started taking “Rescue Remedy” a herbal liquid from a local herbalist for 4 months. This also did not help. Moods – Her moods have completely changed, she reports that she is more calm, more relaxed and not snapping at the smallest things. Anxiety- Her anxiousness is considerably less, there is no more trouble getting to sleep, laying in bed for hours getting more anxious about not sleeping. Day to day anxiety was a problem, this again 6 days in to taking CBD oil is drastically reduced to almost a non existent level. 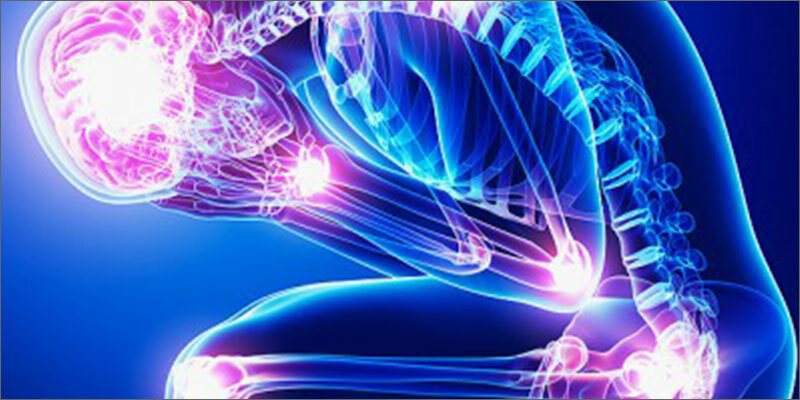 Pain relief – Lauretta now suffers considerably less with knee and hip pain to the point she takes no more paracetamol or pain killers to relieve the aching and painful lower limbs. This is literally #mindblown why this is not more widely available and prescribed by the NHS and all medical authorities around the world. There is so many videos, testimonies and reviews online that it just can’t be fake. Lauretta is living breathing truth that this natural plant extract 100% works! 19/04/2018 – +9 days… Anxiety not totally gone but much improved. Overall health seems to be better as Lauretta’s health is more improved than without CBD oil. 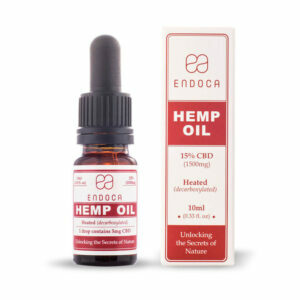 Just waiting for the Endoca 15% to arrive for some real CBD purity. 26/04/2018 – +16 days… on Holland & Barrett – Day 1 of Endoca 15%!!! Lauretta excited and feeling much better, she is taking 2 drops 2 times per day! 15/06/2018 – +69 days… Lauretta is continuing to fell much better, no anxiety, no sleeping issues, no achy joints. It is safe to say CBD has changed her life. He was only a few years old when he was diagnosed with acute lymphoblastic Leukaemia, a cancer of the white blood cells that is most common with small children. Results from blood tests, a bone marrow biopsy and spinal tap proved Landon no longer had Leukaemia, not even the microscopic kind, her mother says. Diagnosed with cancer at the age of seven, Mykayla Comstock was declared in remission of T-cell acute lymphoblastic leukaemia 5 years ago. 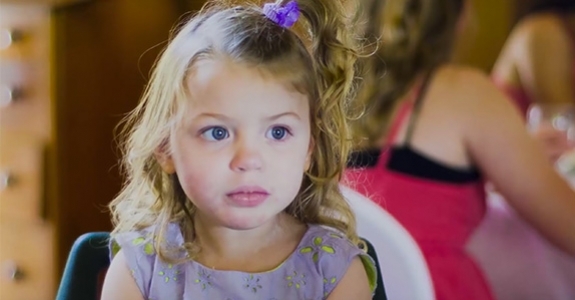 Although her family credits cannabis for saving Mykayla’s life and cannabis has been shown to kill cancer cells in the laboratory, the FDA still refuses to approve cannabis as a cancer treatment. What the hell eh!!!!! Larry’s been suffering from Parkinson’s disease for years. Now, here’s how Larry feels after only 5 minutes of trying just a SINGLE drop of CBD oil. Almost no Parkinson symptoms. He can use his hands. He can speak normally. He can walk normally. And of course, he has ZERO high effects. CBD oil is something that has been gaining popularity over the last few years. CBD is one of the compounds found in marijuana, and it has a lot of medicinal properties. Unlike THC, which is the part of cannabis that contributes to people getting high, CBD is not psychoactive. In 2009, there were a number of high-CBD strains of cannabis discovered in California. These discoveries led to the exploration of CBD-based therapeutics, and over the last few years more and more people have started taking CBD oil, or using CBD based food products, as a way of fighting inflammation and seizures, and treating anxiety and numerous other issues. CBD and THC work well together and it is thought that the presence of one helps to improve the performance of the other. So, for example, taking THC and CBD together will reduce the high of the THC while increasing its curative properties, and will also help the CBD to work more effectively as well. CBD reduces the side effects (anxiety, rapid heartbeat, etc) of THC, and will make THC produce a longer, relaxing but not intoxicating high. THC, on the other hand, will make CBD’s curative properties stronger. There are several ways that you can take CBD. It is possible to purchase high CBD cannabis strains from a medical dispensary and then smoke or vape them, although this will only be an option in areas where medical marijuana use is accepted. CBD-rich cannabis remedies are sold in a number of forms, but federal law classes them as being illegal just like THC-rich strains. 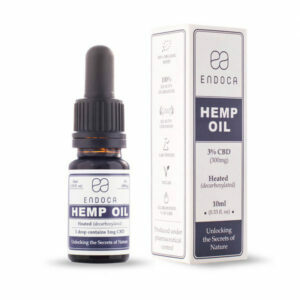 CBD oil is a slightly more blurry area, since CBD oil can be derived from hemp, which is rather different to cannabis because it is bred to not contain THC. This means that there are more places that sell CBD oil, although the legality can still vary from country to country. 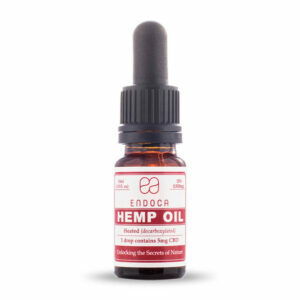 You can take CBD oil by either adding it to edibles (or eating things like pre-made edible CBD candies and gummy sweets), or by dropping the oil under your tongue and holding it there for several seconds. CBD oil has a strong taste to it that some people find unpleasant, so edibles are popular. Concentrated oils are good to take orally if you can stomach the taste, and vaping is another option. Vaping will offer relief very quickly, but the effects tend to pass after a couple of hours. Orally-administrated CBD oil will take longer to take effect, but the benefits persist for much longer. If you plan on vaping, avoid oils that contain propylene glycol, polyethylene glycol, and any cream or cinnamon flavouring, because all of these things can be dangerous when heated and inhaled. Historically, marijuana has been popular with people who have seizures and convulsions. CBD by itself is useful for helping children that suffer from seizures. There is no guarantee that it will work as a cure, but around one in seven children with severe seizures who are given CBD oil find that their seizures are either totally or almost totally stopped. Of those who continue to experience seizures, most notice a significant decrease in the number that they experience. There is a small number of children that experience worse seizures after taking CBD but this is rare. The effective dosage of CBD varies from person to person. 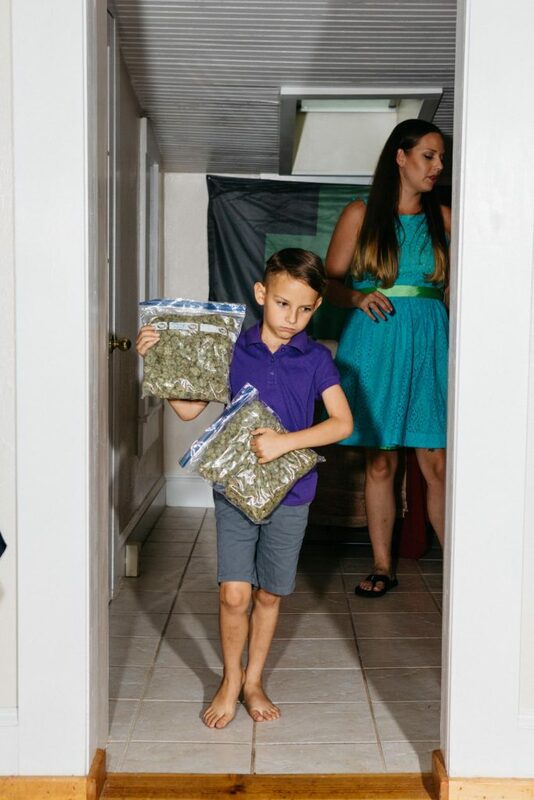 In general, it is best for someone who is new to the world of marijuana to start with a high CBD, low THC oil and begin with a small dose of just a few milligrams. Take a dose a few times per day, every day, for several days, and see how it makes you feel. Increase or decrease the dose depending on how you are feeling. CBD is non-toxic, and there have been no known cases of people overdosing even when taking very large doses, but a large dose is not going to be any more effective than a small dose, and could be a huge waste of money. THC can amplify anxiety and cause issues with your mood if taken in high doses, so it is worth being careful. CBD is not regulated, and this means that there are a lot of different brands out there and not all are created equal. Look for a CBD brand that shows the ratio of CBD and THC, and that has clear batch labelling, including a manufacturing date. Look for plant-derived CBD without excessive additives, preservatives or thinning agents. Good CBD oil should have been lab tested to ensure that it is safe (free from solvent residue, bacteria and mold), and pure (meaning no other contaminants). 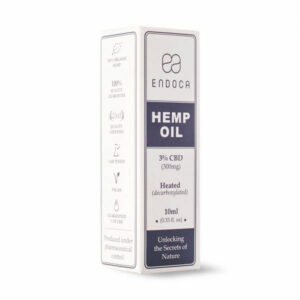 COD or ethanol-extracted CBD is a good choice. Avoid CBD that was extracted using solvents such as BHO, propane, hydrocarbons or hexane. There is such a thing as single-molecule CBD, which has actually been approved for medicinal use, but it is thought to actually be less-effective than CBD from a plant. It requires higher doses, and has a more narrow therapeutic window. Single-molecule CBD is made in a lab, and while it has a similar effect to CBD, it lacks a number of the other cannabinoids that augment the effect of CBD. CBD that is made from marijuana is sold in states where medical marijuana is legal. CBD in England is legal. CBD made from hemp is often used as a loophole to get CBD on the market in areas where cannabis is more tightly controlled. In general, cannabis-derived CBD is more concentrated than hemp-derived CBD, and also is more likely to be pure because so much hemp is required to extract a small amount of CBD there is a greater risk of contamination, and the whole process is less efficient. Growers are working to make cannabis varieties with a THC content below 0.3 percent, which is the legal limit for hemp. When this happens it will be easier to get good CBD oil all over the world. Trevor worked as a Master Builder from the age of 15 until he was 74…and that was 2012. He then set about creating Industrial desks as a hobby..brought his home up to speed with some judicious painting and re-organising. He built a gazebo in the garden with a thatched roof to house a hot tub. The garden over the next few years was re-shaped, pruned and weeded. Life was good. Standing 6’4”, and still with mighty strength, every job was approached as a challenge and with pride. Around 2015 he started to feel the cold very badly, started to experience minor ailments, one after another. He was still fulfilling all that he wanted and needed to do, but something was very much amiss. It was suggested in early 2016, that as his parents had both had thyroid problems, that maybe he too was suffering the same thing. He was persuaded to visit the Doctor to ask for some blood tests. Within days he was asked to return to the surgery, as it was thought he was suffering kidney failure. More tests followed, and then he was told a referral would be made to the local hospital because it was concluded he was suffering Multiple Myeloma. It was said that he was at Stage 2, and he could perhaps have a life expectancy of two to four years. Treatment started almost immediately in the March of 2016 with Velcade and chemotherapy drugs. Charts were drawn up to keep a check on medication. Some of the drugs were for the varying side effects of Velcade. He had to drink in excess of 8 pints of water a day. The tiredness was a nuisance, but inevitable as he was up and down all night getting rid of the 8 pints, so he found himself in need of a recuperative sleep in the afternoons. His hair thinned, but he didn’t lose it all. He had monthly check-ups, and bone strengthening infusions. In the meanwhile he suffered a stumble and turned his ankle. He had it Xrayed 3 times, but no break was found..however the foot was now misshapen, and it was decided he had drop-foot, necessitating the wearing of a strap that holds the foot up. At times he was very despondent, but because he could still play his baritone sax in the swing band, his oxygen levels stayed good, so he had goals he made for himself each week. He supported his wife through her heart valve operation in June, and somehow managed to get her through the worst of the aftermath whilst she was healing. The Velcade appeared to be doing it’s job. Each month the statistics of Kappa Light Chains and Creatinine levels were going down, but it wasn’t until January 2017 that the hospital finally told him he was in remission, and the chemo stopped. For four months, the euphoria of being in remission lasted, although there were monthly blood tests and bone strengthening infusions. Bit by bit though, the critical levels started to rise, and in May, the whole rollercoaster of Thalidomide and chemotherapy drugs started. From the onset, there was a regime of nightly injections to prevent blood clotting, and the Thalidomide was at a low dose , but as the dosage increased, so did the debilitating side effects. Some days it was loss of balance, itching eyes, and then the pins and needles in the legs. By now Trevor was using a stick when he went out, for fear of falling. He suffered from constant constipation, and had slowed considerably. Having increased the dose once, the Oncologist wanted to raise it again, but the side effects, such as nausea, and extreme weakness, were too much, and Trevor decided he couldn’t take any more. The treatment dragged on to just before Christmas 2017. Again, there was a sense of reprieve, and a sense that just maybe, remission would last a whole lot longer than the 4 months he had before. However, the aftermath of the toxicity of Thalidomide is pretty unbearable. It is as if every last vestige of strength has been stripped. Every task takes supreme effort ..and still the regime of blood tests and bone strengthening infusions goes on, and the fear of the results of the blood tests is real. The body doesn’t seem to heal. The pins and needles in the legs, and the coldness are ever present. It is time to re-evaluate the options. Is there anything that can alleviate the misery, and anything that can give a glimmer of hope? One evening Trevor stumbled across this video after hearing about CBD oil. At last there may be some hope, we have to thank Tim Barrier for his inspirational video to give if nothing else possibly the most dangerous thing in the world to a person suffering from this crippling condition……. hope. But that is all we can do is hope. Lets see what this does and if it can help. We will be frequently updating this page with updates on Trevor’s progress. 06/04/2018 – +2 days… Feeling some relief and able to get up a little easier (Trevor is surprised). Is this just a good day or is it CBD kicking in??? Lets see. 07/04/2018 – +3 days… Just checked in with him and he says he feeling great today, typical old man aches and pains but great! WTF? 09/04/2018 – +5 days… Results back for cancer stats pre-CBD, not good. Stats all high again and St Richards hospital now suggesting chemo next month. The big day to find out if CBD will work is 7th May. Keeping fingers and everything crossed. Trevor is feeling well today and trying to remain positive about next months results. 13/04/2018 – +9 days… Trevor cut the grass today which was something he struggled with before. He used an electric mower which he had to push as it is the first cut of the year and because it is too wet for his petrol mower. He said he felt tired after, but what do you expect for a 79-year-old man? 16/04/2018 – +12 days… Trevor is feeling good today and it is his birthday. A few aches but generally feeling good. 19/04/2018 – +15 days… Trevor sat on his stool gardening and weeding for 4 hours today. This absolutely could not happen before CBD oil, just marvellous! 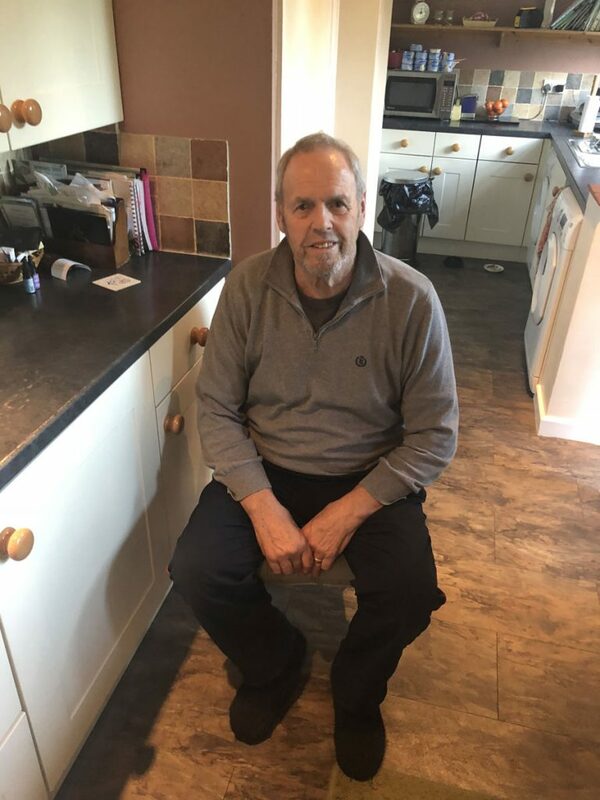 26/04/2018 – +22 days… Trevor is feeling very good, walking fine, getting up fine and overall very positive. 30/04/2018 – +26 days… Trevor is feeling very good compared to when he started, but has said you have to consider he is 80 years old. 02/05/2018 – +28 days… Blood test for cancer stats – Done, lets hope! 05/05/2018 – +31 days… Feeling good in the garden, doing some gardening and have been shopping today in Tesco unaided again. 18/06/2018 – +73 days… Trevor is not feeling ill at all anymore. His latest cancer stats are all down. Light chains are down slightly, creatine levels are normal and since not taking any treatment for his myeloma at the moment, these decreases can only be down to CBD. We asked Trevor on 17/06/2018 if he was now a believer in what CBD oil can do… I don’t think we need to tell you what his answer was, but we shall repeat his words verbatim… “absolutely”. 17/07/2018 – +102 days… Trevor is still in remission and cancer stats are not going down nor up very much. He is still taking 4 drops 4 times a day and is feeling great… or “not ill at all” according to him. Thanks, Ammalife!!!! 04/09/2018 – +153 days… And now for the really good news !!. After 5 months of taking Cannabidoil 10%, Trevor’s cancer marker, the Kappa Light chains, from holding their own at 901.5, have gone down to 894.3…hugely significant, and proving to us that the oil is working. He still, of course, feels his eighty years in aches and pains, but as the staff in the Oncology Dept say, Trevor’s positive attitude helps enormously towards his well-being overall. Going back to the stats listing for this month’s blood tests shows the Creatinine has gone down, as have others, whilst the majority are well within range and even low. The Clinic, and in particular the Senior Doctor, are so pleased with the results, they have given Trevor 2 more months of remission. They know that he takes Cannabidiol, but it is only referred to in passing, as of course the NHS does not have it on their radar yet…or do they? 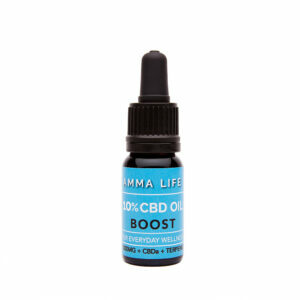 10/09/2018 – +159 days… Trevor continuing to take x4 drops of the Amma Life 10%, 4 times a day but now adding x1 drop 4 times a day of the Amma Life 25%. 17/09/2018 – +166 days… Trevor in the below picture after 6 months of CBD oil. I know the quality of the picture is better. but he was very ill in the one from March above. And like he says now, “he does not feel ill now”. No paracetamol now for 7 days, could this be adding the 25%? 05/11/2018 – +186 days… Trevor’s results for his multiple myeloma this month we spectacularly good, his light chains were down 46. This is possibly due to him taking 4x drops of the 10% CBD oil 4x a day + 1 drop of the 25% cbd oil 4x a day. He is over the moon with the results and looking at upping the dosage of the 25%. All other stats are slightly down and chemotherapy is off the table again at least for another 2 months…. wooooooo hooooo!!!! A documentary about Amelia Powers and her extraordinary experience of using cannabis to cure her brain tumour. 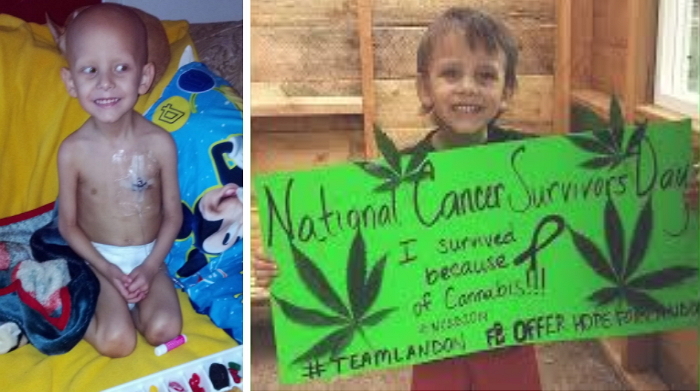 Landon Riddle is cancer clean thanks to cannabis oil. Cannabis oil cures cancer! He was diagnosed at 2 years of age with acute lymphoblastic leukemia, a cancer of the white blood cells that is most common with small children. But the law prohibit the use of cannabis treatment. I only describe what has worked for me. Good luck! I am a 46 year old mother which is why (even though I am legal) I do not show my face…I do not want my kids to be hassled at school. I am triple positive. My ratio is 1:1 (THC & CBD – THC kills cancer cells & CBD heals) … 1ml / day of full extract to start off. I am now on a large maintenance dose (4-5 daytime pills =.08g + .20 pre-bedtime pill + .30 bedtime pill) I mix the cannabis oil with coconut oil 50/50 so my measurements are double. The coconut oil acts as a carrier. Nov 1st 2016: I have stopped the suppositories and am on ALL oral for the oil. April 1st 2017: I have lowered my maintenance dose again, 3 day time pills at .05g (9am, noon and 3pm), a pre bedtime pill (7pm) at .2g and a bedtime pill I take just as I am going to bed of .3g for a total of 5 pills/day. This is very comfortable for me, I do not feel high until the pre-bedtime pill and then it’s like a glass of wine just taking the edge off. I most likely will NOT go any lower in my dose.